It’s natural for parents to want to shield their children from having to deal with loss, but it’s not the right thing to do. 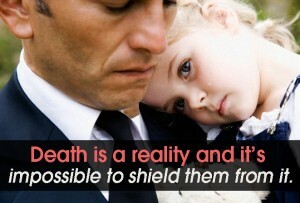 Death is a reality and it’s impossible to shield them from it. nfusing and scary. Your job is to help them make sense of what is going on and prepare them for what is coming. Some of their anxiety can be alleviated if they know what lies ahead. We know that children do grieve although a bit differently than adults. They express it in their behavior and thoughts and by their emotions and physical reactions. Over time, feelings about the loss change and emotions can ebb and flow. We used to say we could bring closure to a loss, but now we’re saying the bereavement process is ongoing. Make sure to talk and remember the loved one. Look at pictures and share stories and memories with your child. Let your child share too, if she wishes. If they have questions about the death, answer them honestly. If it was a suicide, and they are old enough, tell them and say that it was just something we don’t understand and something we just don’t have answers for. You don’t want to lie about it and have them find out from someone else. Try to maintain your normal routine as much as you can. A feeling of normalcy helps both parents and children feel safe. For example, send your children back to school as soon as they are ready instead of keeping them at home. We want to instill our beliefs in our children and this is a perfect way to teach them about our faith. What an opportunity to teach them and model for them how your faith plays into dealing with loss. Keep in mind your children are taking their cues from you. Model for them. It’s all right for them to see you tearful and upset. Be cautious though. If you’re having intense emotions, try to do it away from the kids, as that could be scary and overwhelming for them. Allow them to attend the memorial service if they want to but don’t force it if they don’t want to go. Saying goodbye is an important part of the grief process. Prepare them by letting them know about the service. Explain there will be lots of people there and some might be sad while others might be happy. Let them know they will see the casket with the body in it. Tell them there will be singing and there will be someone talking about the person. As I said earlier, death is a lifelong loss. Grief comes in waves and intensity and the reactions are unique to each child. 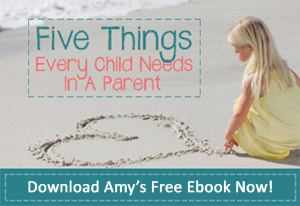 As a parent, your job is to be sensitive and understanding when they are hurting.